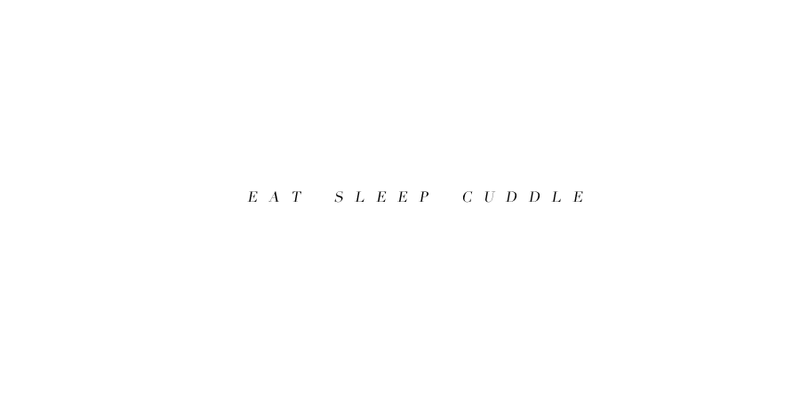 eat sleep cuddle. 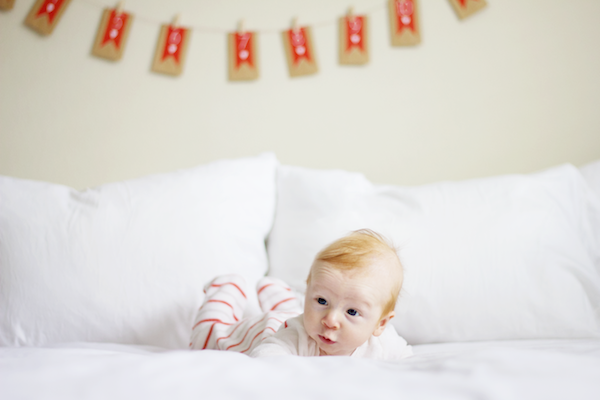 : reddish hair, saturday afternoon naps, baby gyms, and my little valentine. reddish hair, saturday afternoon naps, baby gyms, and my little valentine. 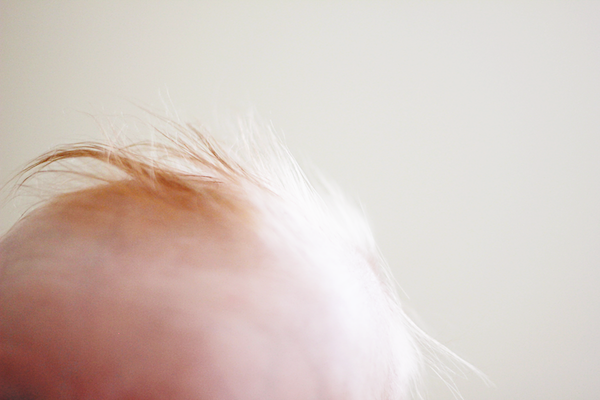 week 08 // it's no secret that i love my baby's reddish hair. he had some cradle cap, and in the past whenever i would try to treat it i would chicken out because i would notice his hair would fall out in the process. (heaven forbid!) but i went full force on it this past week to take care of that dumb cradle cap once and for all, and i'm happy to report that he still has hair left (and no more cradle cap...for now). hooray hooray! week 07 // my cute boys taking a saturday afternoon nap when we were in Ohio visiting family last weekend. those two are best buds, i love it. 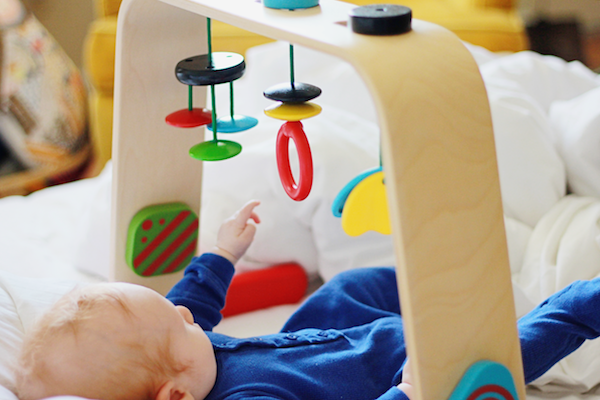 week 06 // i got this awesome little baby gym at IKEA a few weeks ago. wyatt was a little unsure of it at first, but he has really come around. i usually sit him in his bjorn bouncer seat and let him go at it. it keeps him pretty entertained, and it's a baby toy i don't mind having sitting around. week 05 // my little valentine, helping me hang our Valentine's Day advent this year.